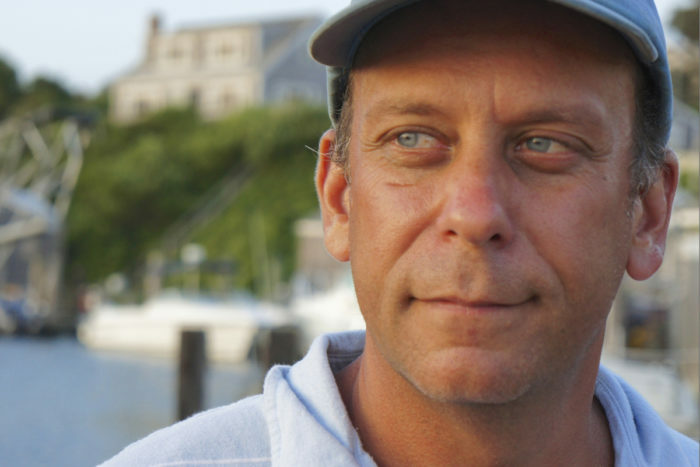 In this excerpt from his new book, Paul Greenberg imagines a food future that promotes human health and environmental sustainability—and it starts with making smart seafood choices. Omega-3 fatty acids are one of America’s most popular—and hyped—nutritional supplements, the cornerstone of a multi-billion-dollar market promising a healthier heart and sharper brain. But a closer look at the omega-3 sensation reveals something much deeper and more troubling: they are the product of a vast, global industry that over the last century has boiled down trillions of pounds of marine life into animal feed, fertilizer, margarine, and dietary supplements. 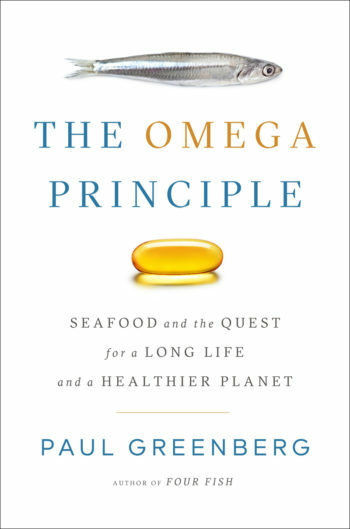 In my new book, The Omega Principle, I explore the big stories of the push-and-pull of science and business, of the fate of our oceans in a human-dominated age, of the explosion of land food at the expense of healthier and more sustainable seafood, and of the human quest for health and long life at all costs. And I believe that another world is possible. Imagine what a yeoman farmer from the early 19th century would have said if you described the plan for the next 200 years: Fossilized algae will be pumped from the ground and burned to create energy. Next, a network of pipes will be laid under much of America’s farmland to drain it of its excess moisture. Crop by crop, we’ll pare down the bulk of what is grown until we focus on two species: corn and soybeans. Hardly anyone will eat these crops. We’ll take all of the grazing animals off the land, put them in feedlots, feed them that corn and soy, and supplement their diet with a range of things, including anchovies carted in from the Southern Hemisphere. My guess is that no one would have found that to be a particularly plausible, let alone good, idea. So the idea of a food system that could promote longer, healthier human lives, that recycles rather than generates pollution, and that has the potential to produce a whole coast’s worth of energy—I don’t think anyone would say that this was an unworthy goal. 1. Eat a Mediterranean/Pesca-terranean Diet. What does eating a Mediterranean Diet mean? When I asked Walter Willett, one of the diet’s most cited scholars, he put it very simply. “It’s a whole package of healthy components: healthy forms of fat, whole grains compared to refined grains, a variety of fruits and vegetables, nuts, modest amounts of dairy, and low amounts of red meats. Put that all together and it basically describes the Mediterranean Diet.” In the Pesca-terranean model, one would strive to make the animal protein portion of the diet as ocean-based as possible. 2. Try to get your omega-3s from food whenever possible. When I asked Gary Wikfors if any of his work at NOAA had influenced his personal eating habits, he replied very bluntly: “The first very practical aspect of my scientific knowledge that influences my own nutrition is to reject supplements. That comes from years of working with lipid chemists and algal samples and the precautions one has to take to avoid oxidation. No lipids are more prone to oxidation than omega-3s. Oxidation will result in the creation of cytoxic compounds.” These compounds are, at best, not helpful to living cells. In an industry where much fish oil is still being harvested using vessels that lack necessary refrigeration, oxidation remains a problem. Eventually it may be solved, but why even involve yourself in this industry in the first place? There is something to be said for the argument that a food should be eaten in context, and taking a lipid-based supplement outside the context of other lipids does seem to work against metabolic logic. In any case, just a little more than an ounce of canned anchovies is enough to meet the 500-milligram daily intake many physicians suggest for omega-3 consumption, though to this day there is no recommended daily allowance of omega-3s. 3. If you want to continue taking omega-3 supplements, take supplements that do not derive from fish caught specifically for reduction. There are several brands of marine oil that use by-products from fish for human consumption as their source. Among them, Pure Alaska Omega Salmon Oil and Wiley’s Finest (derived from pollock discards) are worth considering, as is good old-fashioned cod liver oil (Peter Möller’s 19th century cod liver oil company is still selling the stuff). Because the oil derives from fisheries that are already geared toward harvesting fish for human consumption, there’s a better chance that the raw materials will have stayed under refrigeration throughout the supply chain, leading to a lesser chance of oxidation. There are also several brands of omega-3 supplements derived from algae that are currently on the market. Almega, Isaac Berzin’s creation from Imperial, Texas, is intriguing because instead of using fermented sugarcane as a substrate to grow algae, the company relies entirely on photosynthesisfueled algae. It’s worth remembering that any omega-3 supplement regardless of its source is prone to oxidation. Supplements should therefore be kept under refrigeration. 4. Check your omega-3 level. While there will continue to be debates around taking omega-3 supplements, there does seem to be a fairly strong association between maintaining a healthy level of omega-3s in blood lipids and decreased risk of cardiovascular disease. It is now possible to determine the omega-3 level in your own blood. Several companies are currently active in this area. One, in Sioux City, South Dakota, is called OmegaQuant. For a modest fee that does not require a visit to a physician, OmegaQuant will send you a finger prick test and provide you within a few weeks with the lipid profile of your blood, including a detailing of your omega-3/omega-6 ratio. 5. Eat forage fish rather than fish fed on forage fish. Anchovies, herring, mackerel, and whiting are all fish that end up in the reductionist chain. Eating them directly is fully possible. With anchovies, look for cans labeled “product of Peru”—these are fish that would have been headed for the feed mills had not a few industrious entrepreneurs snatched a trifling 1 percent of the catch away from the reducers and prepared them for human consumption. 6. 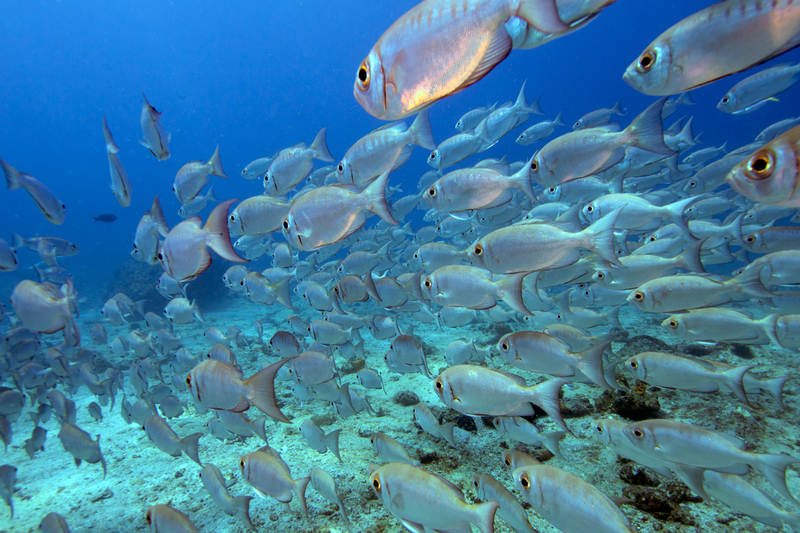 When eating aquacultured fish, look for aquaculture companies that favor innovation in feed. Farmed fish can reach a point where they are a more ecologically efficient form of protein than land food meats. Toward that end, try to look for brands that are focusing on reducing their use of forage fish and are innovating with their feed supply. Blue Circle salmon is one in particular that is using both algae-based products and offcuts from other fisheries to provide a significant part of their farmed salmon diet. 7. Eat mussels or other farmed bivalves. Mussels have a carbon footprint 30 times smaller than beef. At present Americans barely eat them. Increasing consumption will encourage an increase in production. 8. When eating land food meat and dairy, eat sparingly, and eat from grass-fed animals. It is probably unrealistic to wean every reader from meat altogether. But a stride toward better management of the planet would be to limit the amount of meat we eat in general to a few portions per month—the amount, by the way, recommended by the Mediterranean Diet. One gets even closer to the Mediterranean ideal if one favors pasture meat over feedlot animals. Grass-fed animals produce less methane and have a significantly lower carbon footprint. Grass-fed meat and dairy are also higher in omega-3s than feedlot animals, though keep in mind, their omega-3 levels are a fraction of those found in oily fish. 9. Support alternative energy development of all kinds. Of all the alternative energy prospects for the future, wind has the greatest potential, with something like twice the generating capacity of the next greatest provider, solar. Wind at sea blows hardest and most consistently and has the potential to provide the greatest energy return on investment. While various credible arguments have been made against offshore wind development (bird strikes, fish and marine mammal migration disruption, harmful vibrations, diminishing of the so-called viewshed), we must look at those objections in relation to the greenhouse gas emissions and ancillary pollution issues that arise from petroleum and coal. 10. Join an effort to take down a dam. Old dams currently block the migration of oily forage fish, particularly on the Atlantic coast. These largely useless dams from another industrial age artificially repress abundance and resilience and are also serious flood risks. American Rivers is probably the most active national organization on dam removal, but local chapters of the Nature Conservancy, particularly in the northeast, work toward the goal of dam removal. 11. Support your local NOAA office. Because of its association with climate research, the National Oceanic and Atmospheric Administration might be one of the most beleaguered government agencies we have right now. Even before the present climate-change denialist government took hold in Washington, NOAA was a frequent target of budget reductions, suffering major across-the-board cuts during the government sequester. NOAA’s Sea Grant programs are particularly worthy of support—both financial and moral. Recent budget proposals suggested zeroing out Sea Grant programs that provide education and technical assistance for aquaculture and other ocean-based industries. In the last two years these programs generated $575 million in economic impact and created or sustained more than 20,000 jobs. From The Omega Principle by Paul Greenberg, published by Penguin Press, an imprint of Penguin Publishing Group, a division of Penguin Random House, LLC. Copyright © 2018 by Paul Greenberg. Hemp will save the world! What is the author's opinion on eco labels/certifications, either for aquaculture or wild caught?